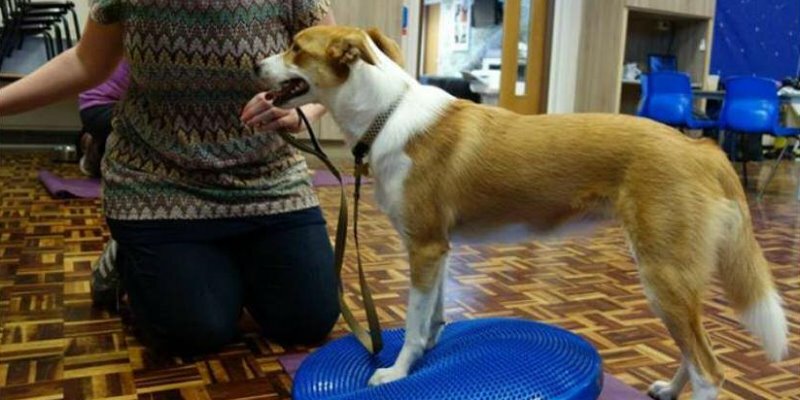 Our dogs and puppies Improver’s course is a rolling course, with the dogs attending of mixed ability. The main aim of the classes is to continue to work on advancing general training but it’s also for those owners & dogs that enjoy group training and want to continue it on a longer-term basis. If your dog or puppy needs a little extra help then this is the class for you – or of course you can also ask us for private classes in the comfort of your own home; sometimes 121 works better and sometimes a class environment is best (and sometimes a mixture of the two!). An exciting aspect of our Improvers course is that it includes training for the Kennel Club Good Citizen Dog Scheme (GCDS) – at bronze, silver & gold levels. This isn’t the main point of the class and it isn’t mandatory but for those who do want to progress towards passing their GCDS training, it’s the place to be! We hold GCDS test dates several times a year and your dog can take the test for their level (Bronze, Silver or Gold) whenever they are ready – or you can simply join the course for the fun of further training in a group environment. has a pre-requisite: this is for puppies and adult dogs who have completed either our Puppy Foundation Obedience course or our Adult Beginners Obedience course, or who have completed basic training elsewhere.Note that new dogs who have not attended a Cheshire Dog School class previously will need to attend for an assessment before joining. All basic obedience training including further work on loose-lead walking, recall and general good manners. 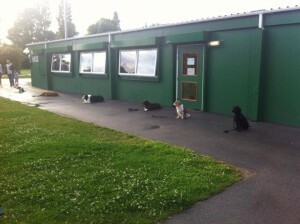 We also cover the Kennel Club Good Citizen Dog Scheme Training. 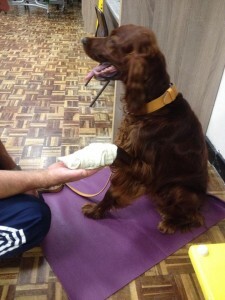 The Bandaging clinic is a firm favourite; a handling exercise using bandages! 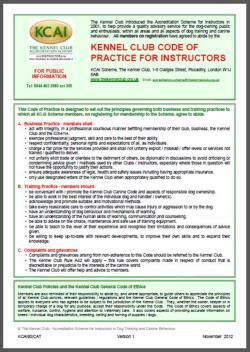 Please get in touch with us to find out when the next Dog Improvers course begins.